Its Memorial Day here in the States again & I got together with friends at a local watering hole to discuss OSR stuff. Swap some beer & shoot the breeze about International Dave Hargrave day, classic original Dungeons & Dragons, OSR games, & everyone's current campaigns. 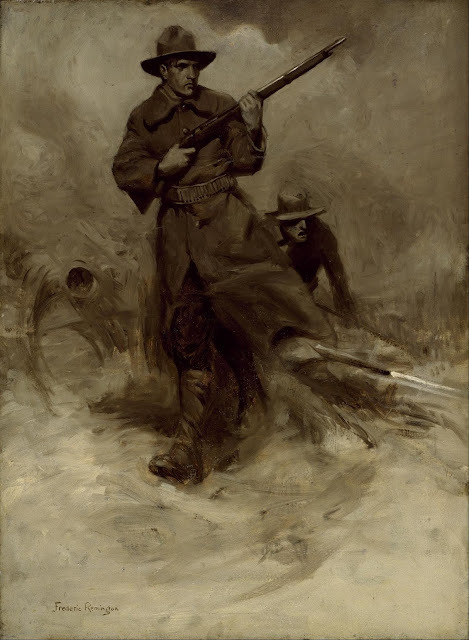 So we began to talk about WWI & some of the history leading up to it including the international brush fire conflicts that lead up to the war to end all wars. 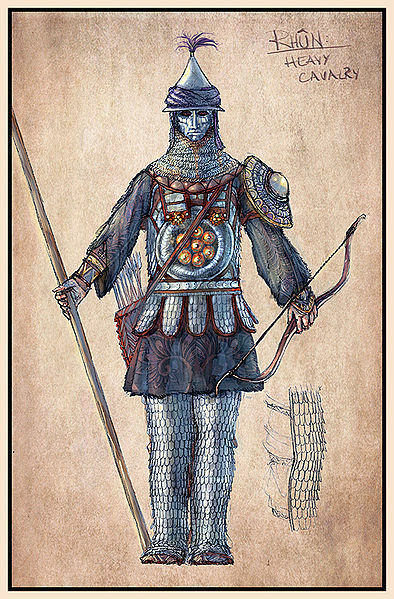 The idea came up of battle fields whose violence was so bloody & bad that they transcend the local time space continuum & pull soldiers in from other time periods & eras. 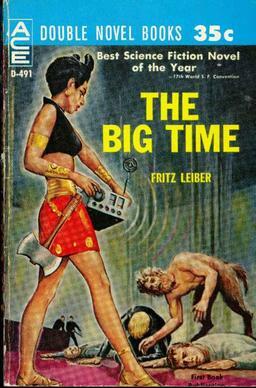 "The Big Time as serialized in Galaxy Science Fiction in 1958, parts one and two, at the Internet Archive"
I don't really want to get hung up too much on Fritz Leiber too much because I've got a lot of ground to cover here. Liber's Change Wars are only another front in the bigger war between Law & Chaos, yup that's right I said it. This was something we'd see much more of in Three Hearts and Three Lions in 1961's fantasy novel by American writer Poul Anderson. 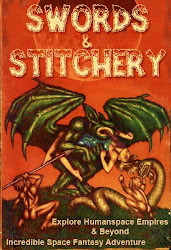 Michael Moorcock would 'borrow' certain concepts for this along with American writer Roger Zelazny. Gary Gygax just danced in with Gord & his crew of dungeon miscreants. 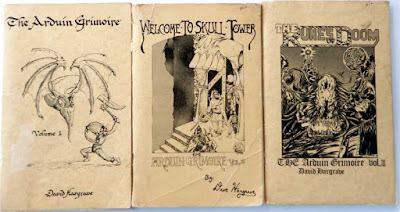 Dave Hargrave plugged into this with his dungeon locations that weren't bound by time or space. These dungeons were created to cancers on timelines & their appearances were the death wail for a world. The appearance of a dungeon on a world isn't cause for celebration but call to arms for adventurers, outlaws, & soldiers in a war they barely understand. This is something I've done time & again faster then you can say Hargravian Hell spiral. 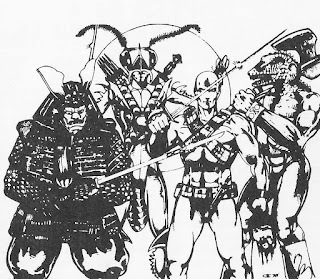 The idea of taking a bunch of adventurers from across a platform of various old school & OSR retroclone system platforms & throw them together isn't something new. We've done it time & again much to the cynicism & criticism of the local OSR scene. 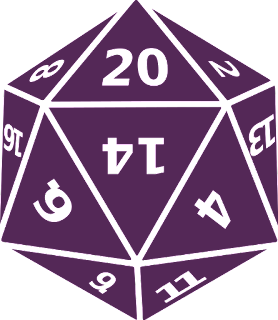 The idea of breaking down the traditional Dungeons & Dragons tropes seems outside of some folks comfort zone. Dungeon are adventure locations whose appearance might mean a call to arms across time & space. We've seen both Marvel & DC use this tactic in their comic books & now block buster movies time & again. This is simply another tactic to get get very different groups of players to the table. 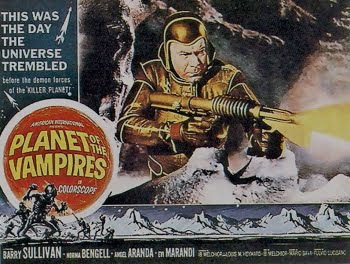 Some may play pulp heroes, some adventurers, a few soldiers, but by night's end they'll be veterans of the temporal wars. Meanwhile I quietly drink my beer & crack open my copies of Arduin again & salute Dave Hargrave. To pull this off I reccommend the first three Arduin books & B/X Dungeons & Dragons along with your favorite retroclone systems. Possibly Amazing Adventurers! rpg & its Companion from Troll Lord Games.